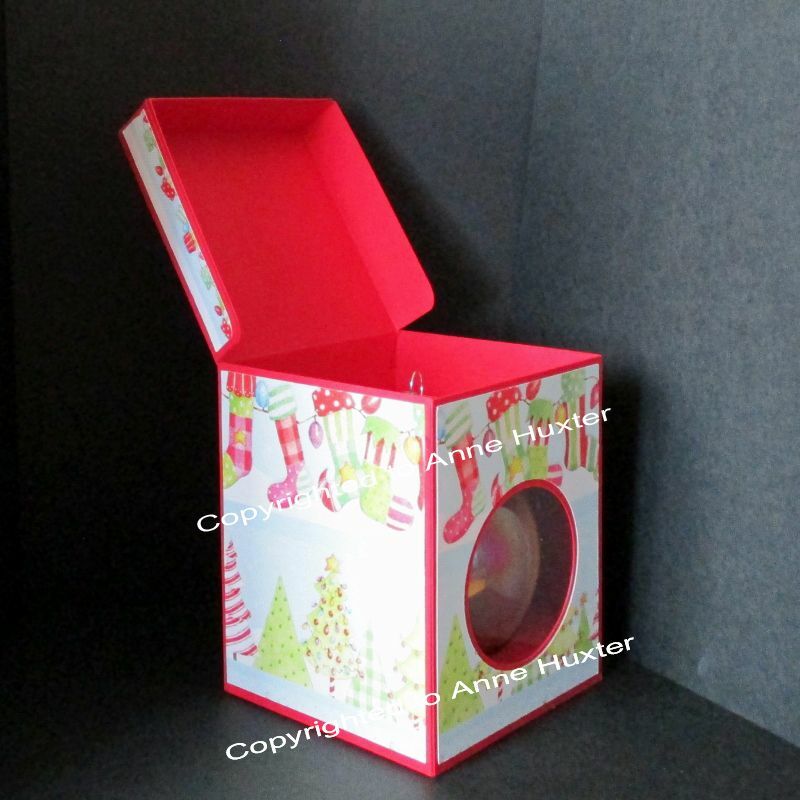 A Bauble/Ornament box cutting file, with a lid that opens up backwards but stays intact. 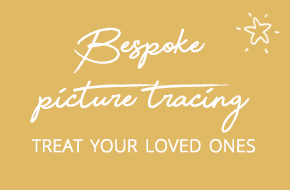 Comes complete with 2 inserts, one for the bottom of the box for the bauble to sit on and one for the top of the bauble to keep it in place whilst in transit. 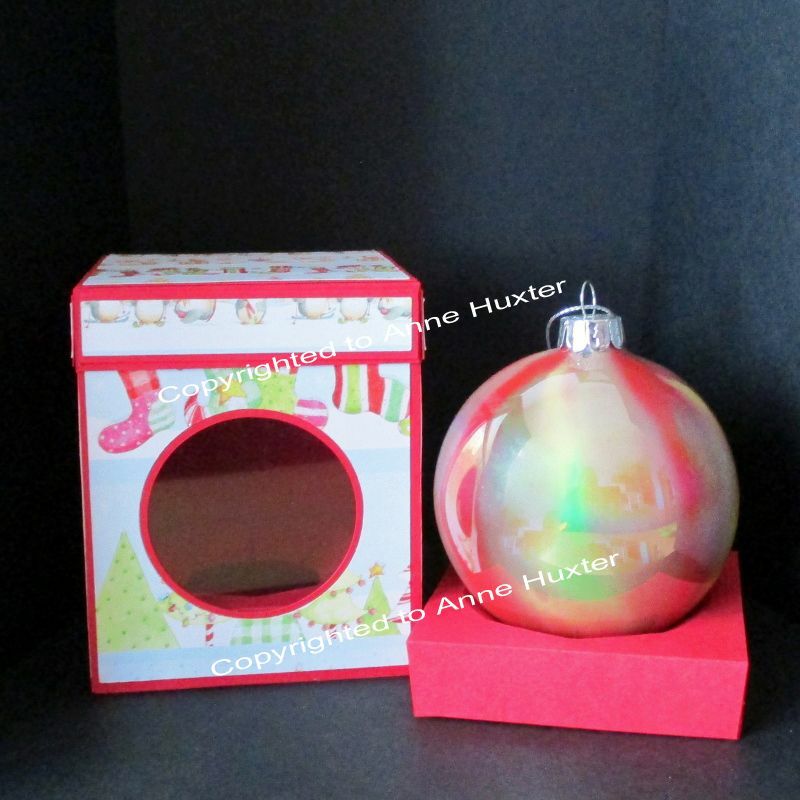 This bauble/ornament box will fit your 80mm or 8cm baubles/ornaments perfectly. 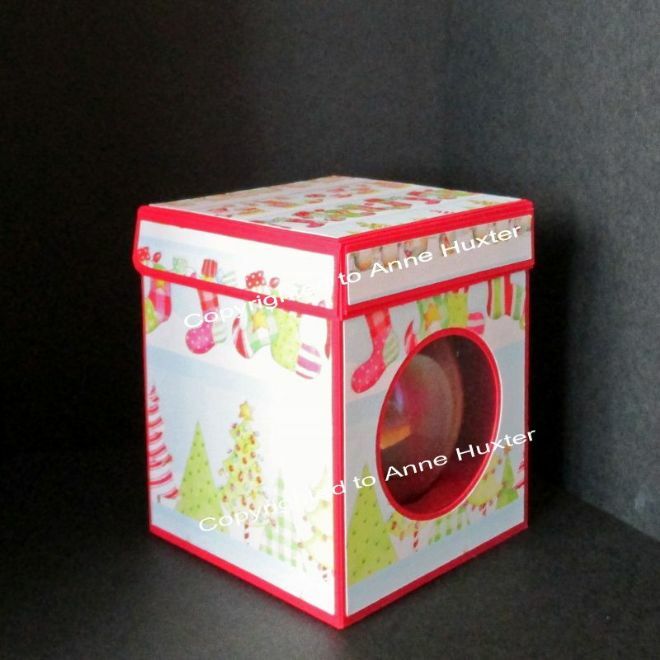 Box measures 85mm square by 105mm high, so your bauble will sit upright.